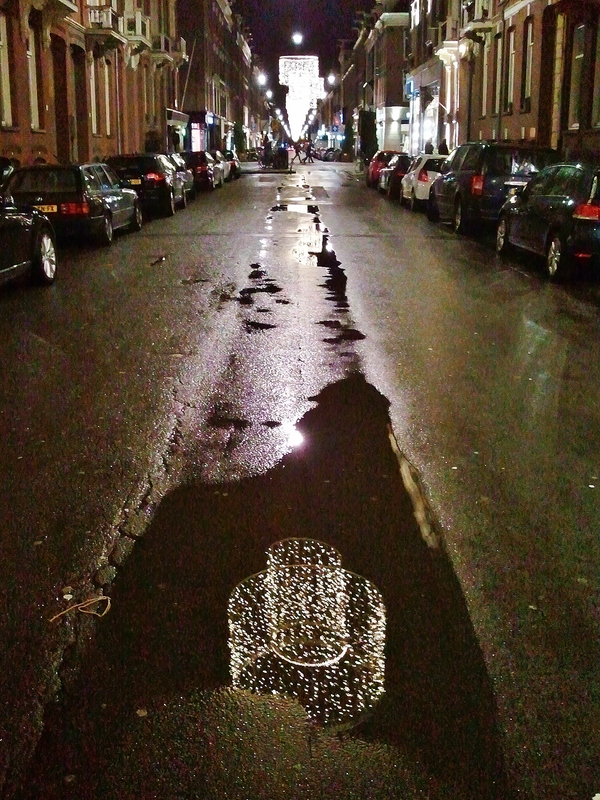 Back in Amsterdam in the New Year, after a long time away. It looks much more prosperous, and clean – few graffiti, little sign of poverty on the streets, buildings in good order, and many development projects have come to fruition. I’m slightly uncomfortable about how relentlessly middle-class the centre is – one of the traditional strengths of the Dutch culture has been the narrow gap between rich and poor. I couldn’t tell, since I saw none but well-to-do folk. It wasn’t always so, both in the Centrum and elsewhere. 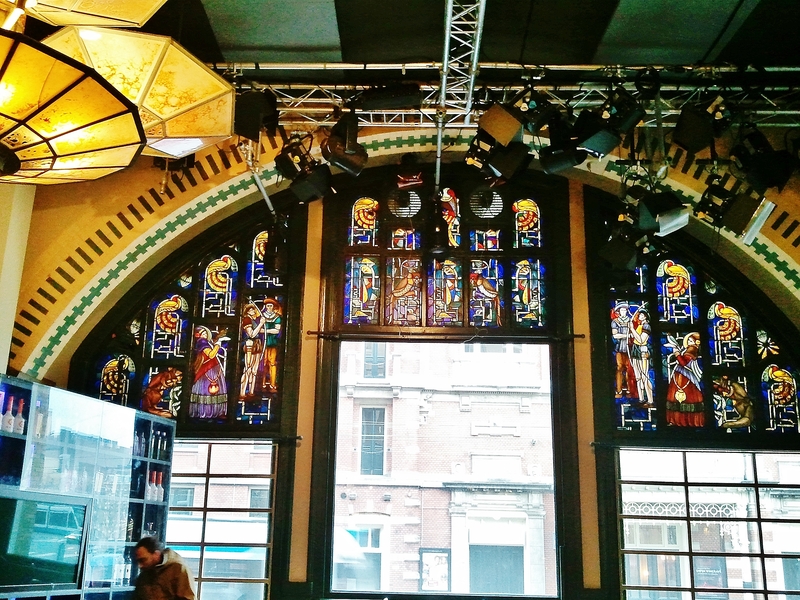 I was reminded of how visually acute Dutch culture is – window displays as works of art, well-cared-for architecture, active support for the old and the new in architecture and the arts – so I was prompted to take lots of pictures. 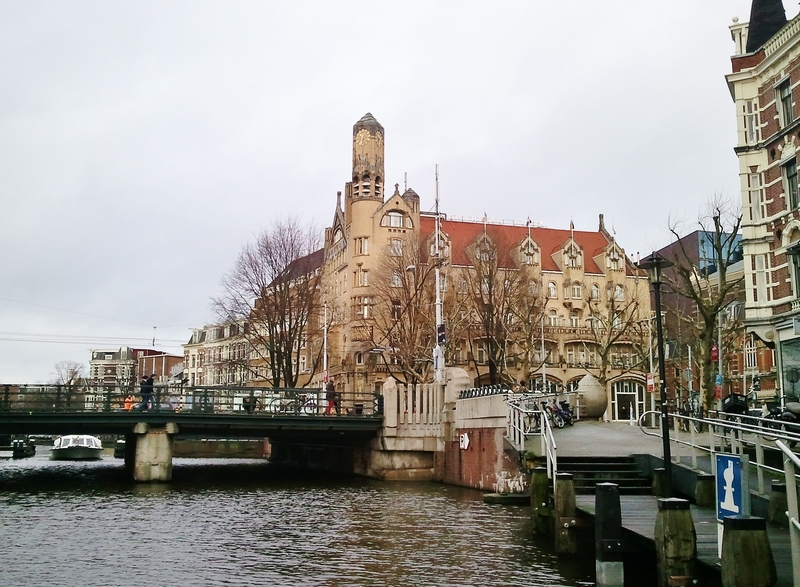 Much of the architectural heritage of Amsterdam’s Centrum dates from the period 1890 to 1910 or so. The Neo-Renaissance style is greatly in evidence, in reddish brick with limestone accent and ornament. 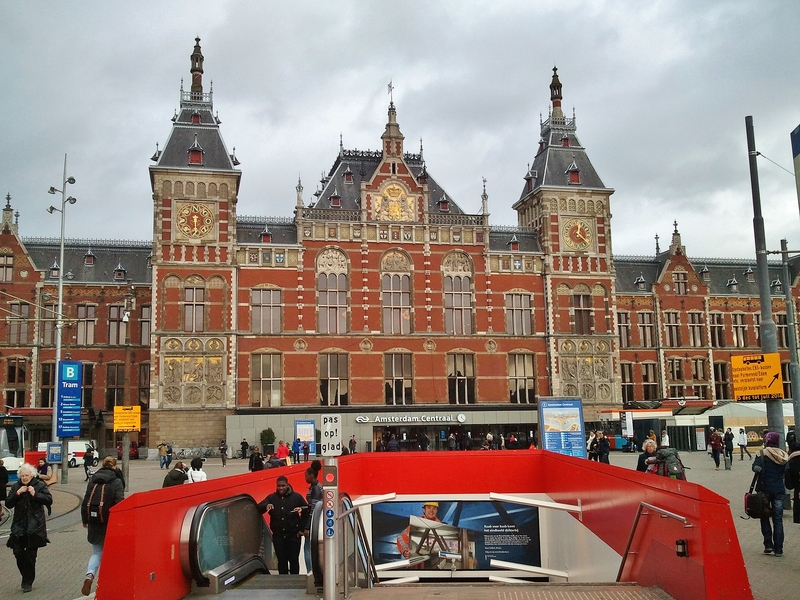 Whether you come in by car or by other means, you will probably pass through the Centraal Station, or at least the open space in front of it – it’s at the centre of the horse-shoe-shaped series of concentric canals which define the shape of the old city. The entrance to the Metro in the foreground is a more recent addition. The 1903 Amsterdam commodity exchange of architect Hendrik Berlage, down the Damrak from the 1889 station, shows the cleaner lines of Art Déco. These days it’s an arts and events venue. 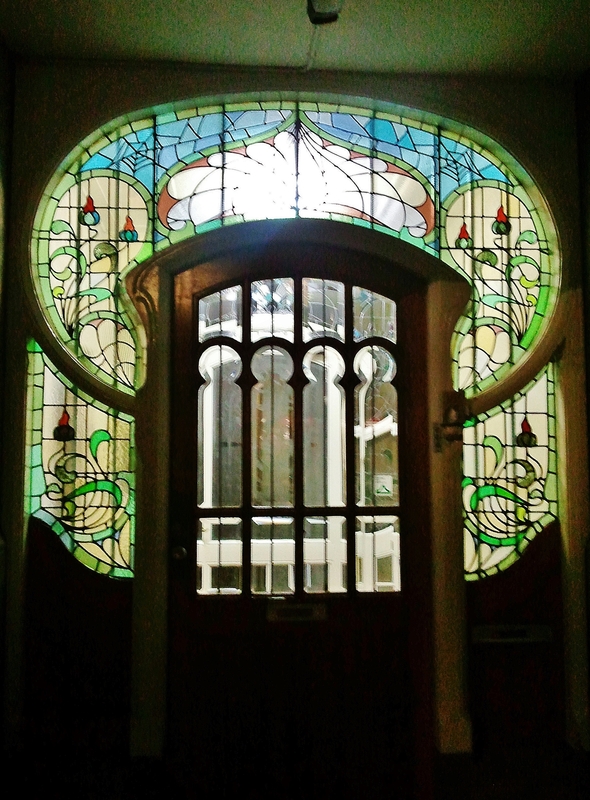 As you move out of the centre through the Oud-Zuid residential district, Art Nouveau makes an elegant appearance. 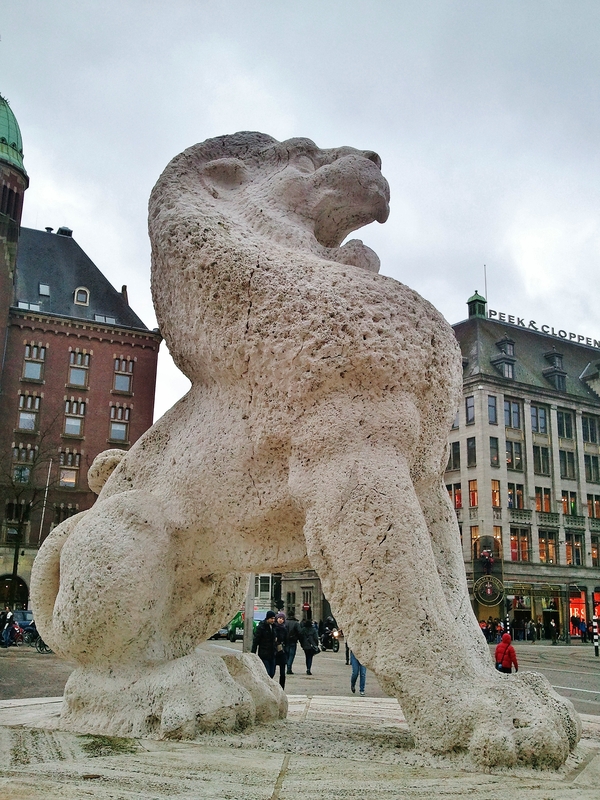 At the end of the Damrak you come to de Dam, the open space in front of the town hall, and on the opposite side, in front of the Krasnapolsky Hotel, the 1956 Nationaal Monument to the casualties of the Second World War. The symbolism can be applied to today’s concerns. Here’s a neat inversion of its triumphalism, for an exhibition at the naval Scheepvaartmuseum marking the 150th anniversary of the abolition of slavery in the Netherlands. separate entrances to the different levels of the theatre were organised strictly by class, with the upper balcony for the cheapest (woooden) seats and their rowdy occupants. Queen Wilhelmina (“the world’s first female billionaire”, and, according to Winston Churchill, “the only real man among the governments-in-exile in London”) did away with the royal box-and-toilet. 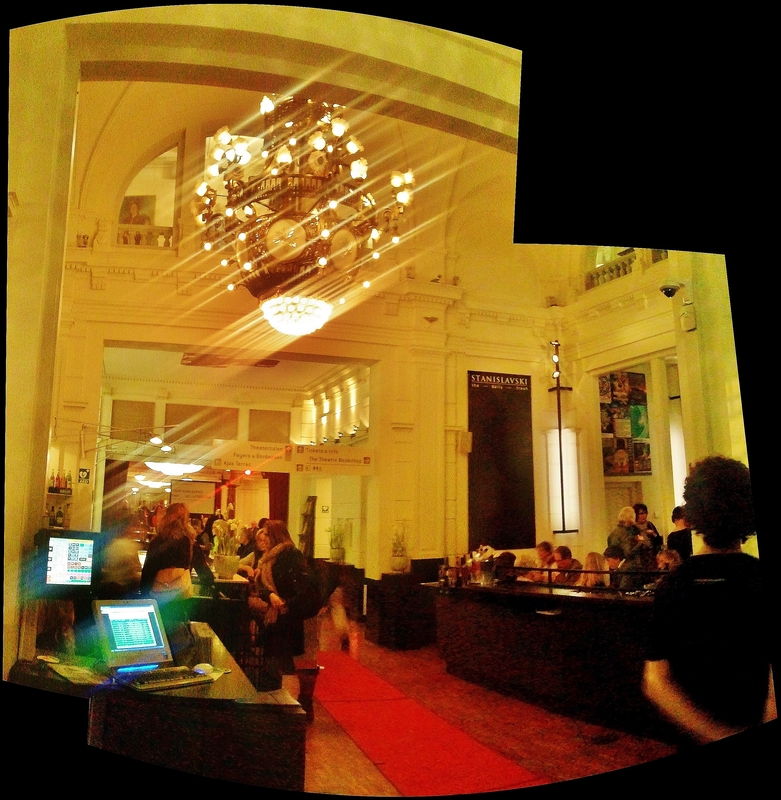 Today the foyer hosts the Stanislavski restaurant, serving decent food and drink for theatre-goers and for the general public. There’s also a well-stocked bookshop. 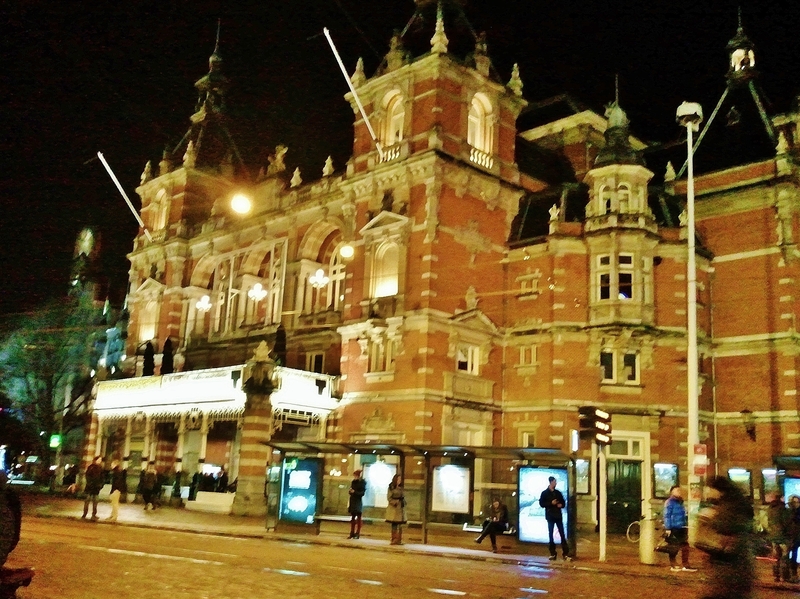 The theatre focuses on Dutch repertoire. 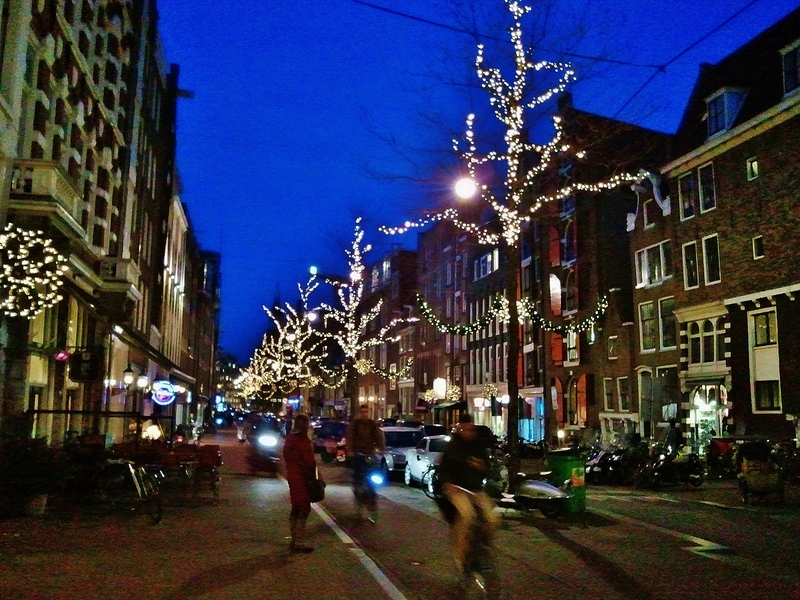 The Christmas lights were up in Amsterdam – inventive, not excessive. 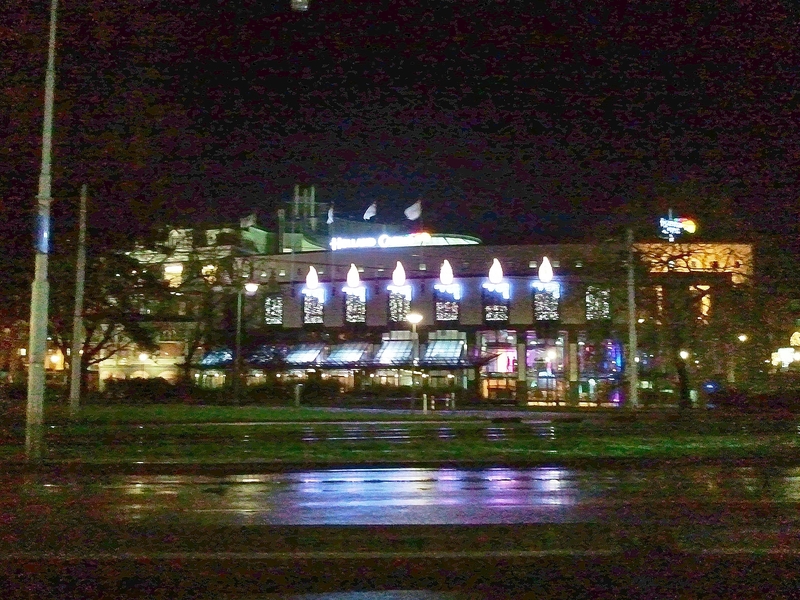 The windows of the Holland Casino were lit by candles. As in much of Europe, this state concession has the legal monopoly on gambling, with fourteen casinos. 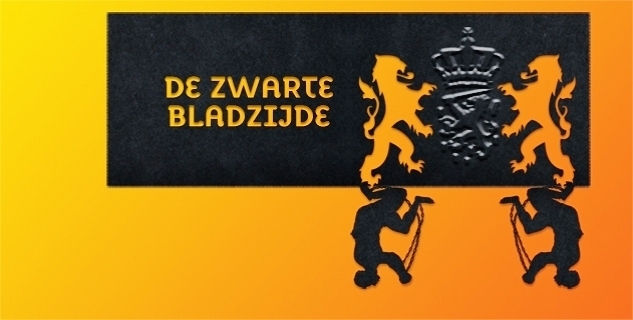 Profits go directly to the Dutch treasury. In the PC Hooftstraat, where designer boutiques jostle for space with chic small hotels and book-lined residential front rooms – the Dutch don’t hide behind curtains – the Christmas lights were these rather grand and festive chandeliers. 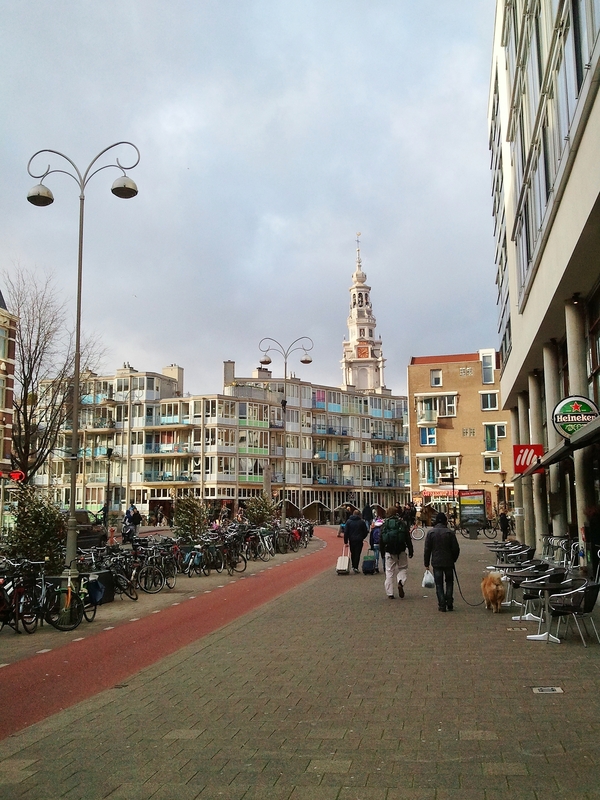 Low-rise new buildings blend easily with more historic structures – nothing in het Centrum seems to be higher than five storeys. Everything is on a human scale, walkable, and pedestrianised without excluding cars, which mix easily with the famous bicycles and mopeds and the new rolling stock of the electric trams. 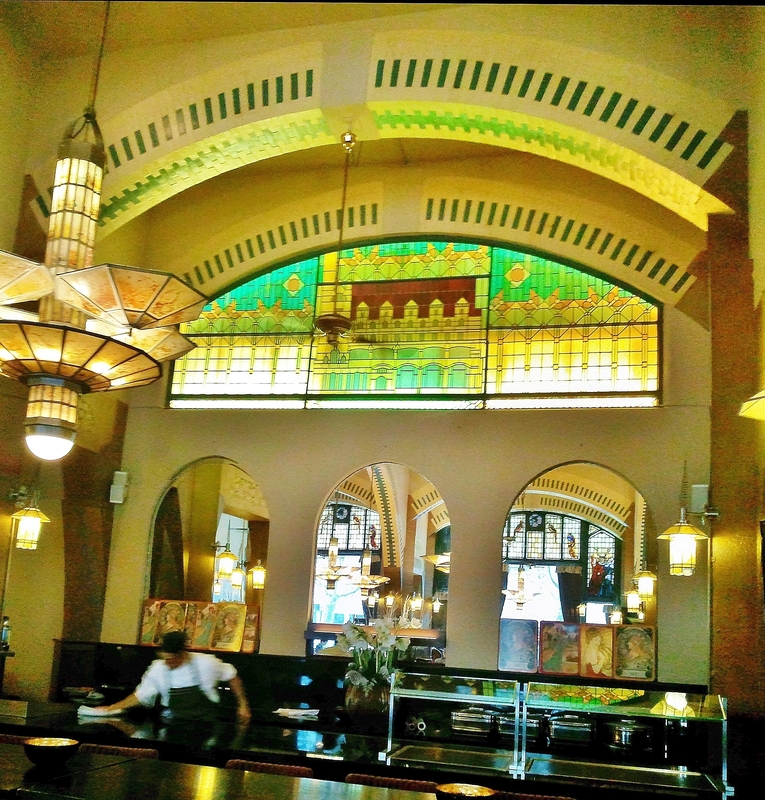 The American Hotel on the Leidseplein attracts a steady trade at all times of the day and week, and it is THE place to go for Sunday brunch. They serve a very decent coffee and excellent cake – try the apple tart, something of a Dutch speciality. 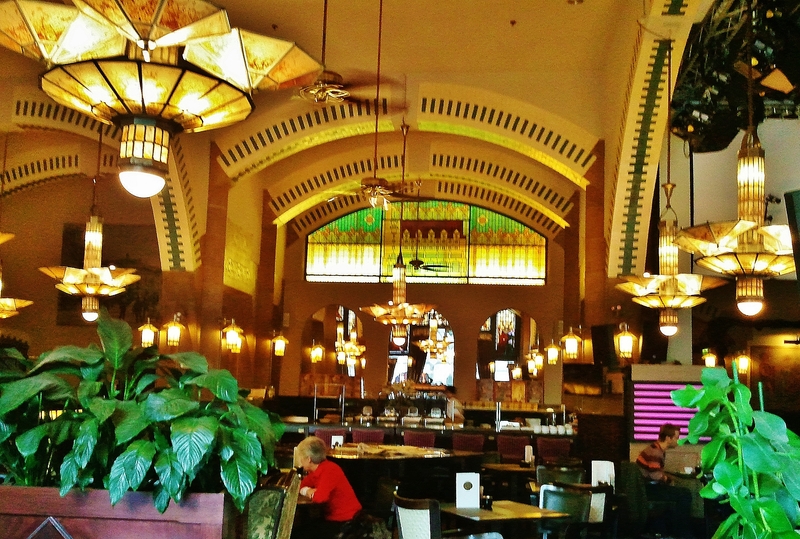 Despite the name, the hotel’s exterior is not in as extreme a style as American Art Déco, more in the continental Jugendstil, but the interior is more exuberant, with Nouveau and Déco in an exhilarating mix. The red light district or Rosse Buurt (‘pink neighbourhood’) is as popular and probably more famous an Amsterdam attraction than the American Hotel. Walking through it at three in the morning, you would suffer nothing worse than being solicited, and it’s more tightly controlled now. 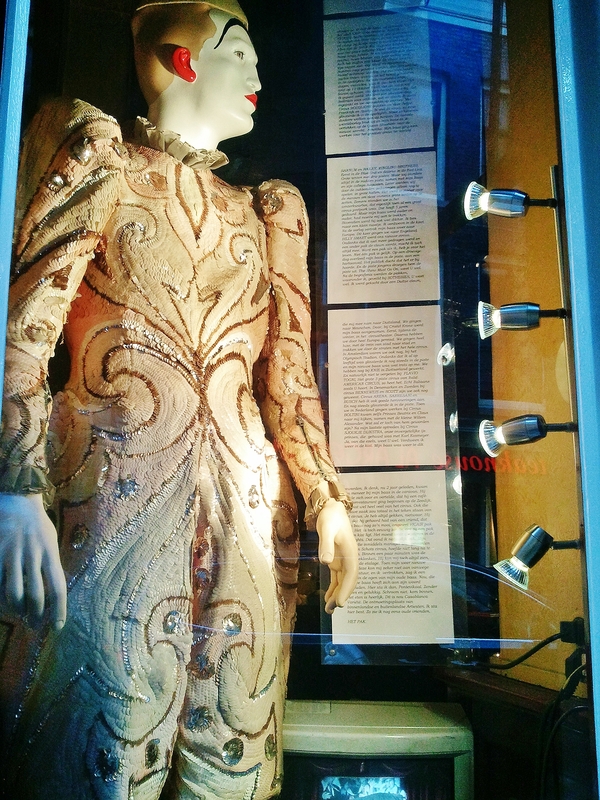 Only in one or two side streets do you now see the famous mostly-naked ladies in display windows, all the more startling for being unexpected. They work for themselves, paying the landlord for space like any other retail business in the surrounding streets. The women are protected by legislation and organise themselves into trade bodies. There’s even a museum which explains the details of their working lives. Tourist buses make it a regular part of their itinerary. 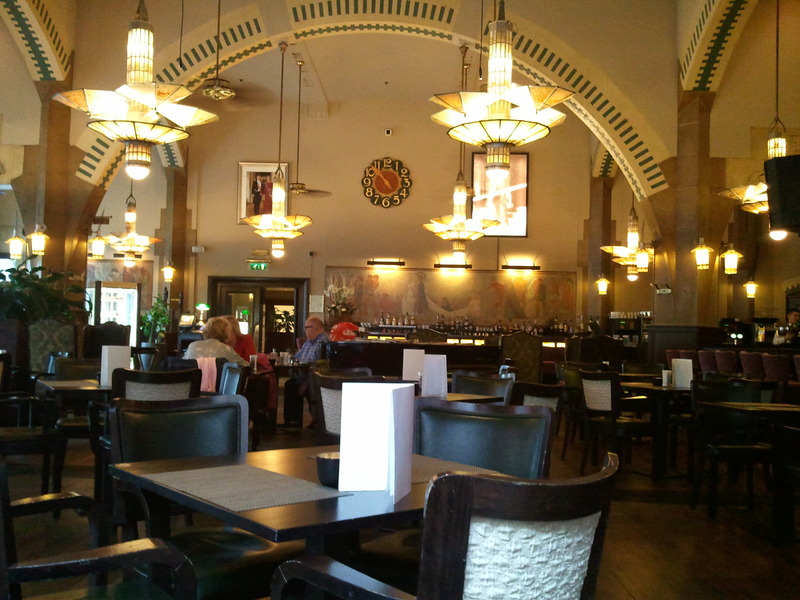 Like the rest of het Centrum, it’s cleaner, more genteel than before and, my impression was, occupying a smaller area. Maybe it’s reduced as higher property prices make sale a more attractive option than trade. The famous Amsterdam coffee shops were also less in evidence. Marijuana and hashish are still on sale, but strictly for personal use, and not being smoked on the street – you can smell more ganja on the streets of Sao Paulo than here. Some windows included signs expressly forbidding photography, while at others, the door was opened to invite you in as you walk by, even in the January chill. Related businesses in the surrounding streets also used their display space to advantage. There’s a different kind of shop around the corner on the main street. A branch of a Los Angeles charity, this vintage clothes shop has a unique additional service. 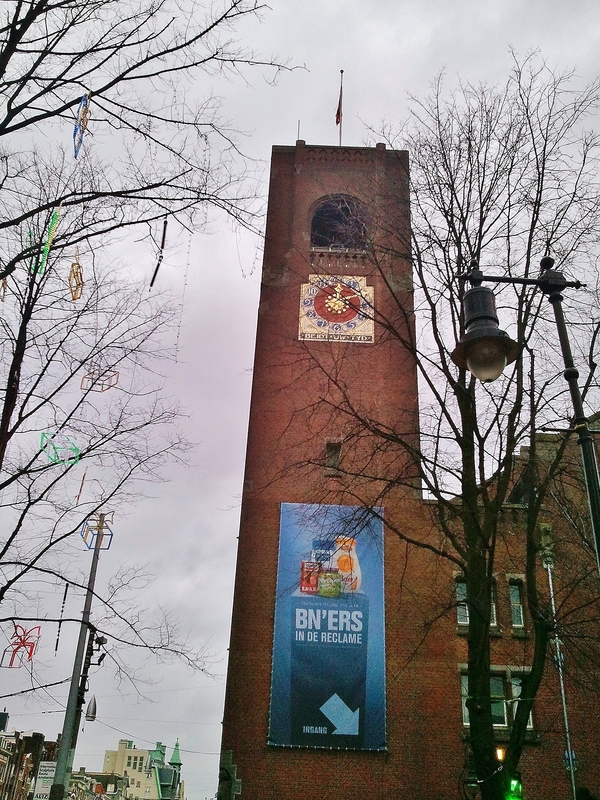 It´s telling that it’s in Amsterdam, both an indication of the problems of permissiveness and an admirable response. Further along the Zeedijk in the Rosse Buurt, there’s a discreet little bar and restaurant run in tandem with a circus. The Casablanca Variété has bar and dining space, an upstairs theatre seating 30 and a downstairs meeting room. “There will always be more of us, and more costs to bear. The Dutch like a museum. 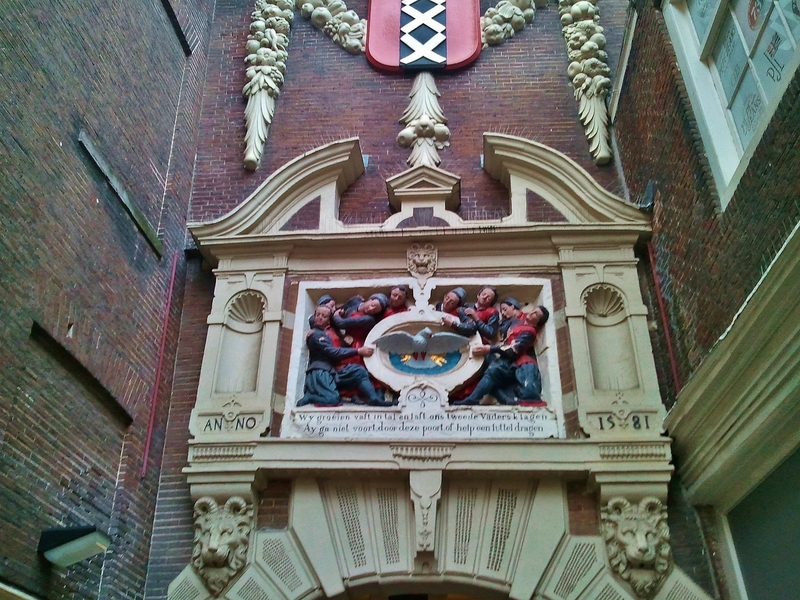 The building which houses the Amsterdam Museum was built in the seventeenth century, serving as the Amsterdam Orphanage for the next 400 years. The collection includes a permanent exhibition on Amsterdam’s history, a reconstruction of the orphanage, and a programme of exhibitions based on works on loan – currently the portrait of his wife Saskia by Rembrandt – and on ground-breaking research into art history – from March 15th, the work of Jacob Cornelisz van Oostsanen (1470 – 1533), the earliest named Amsterdam artist. 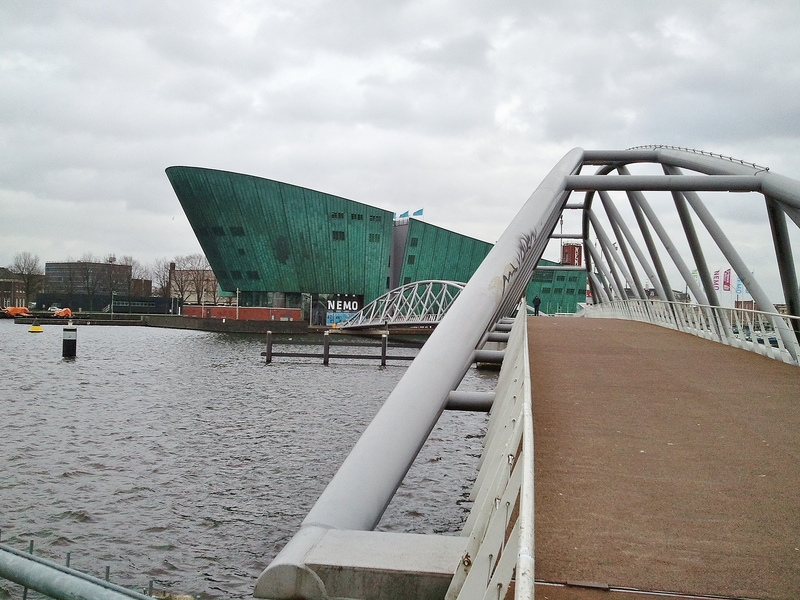 The Dutch continue to appreciate both old and new. The origin of Delft blue pottery was the drive to copy Chinese porcelain when supply dried up after 1620. Though they did not manage to recreate porcelain, the use of white tin glazes and cobalt decoration to give the characteristic colours became widespread. 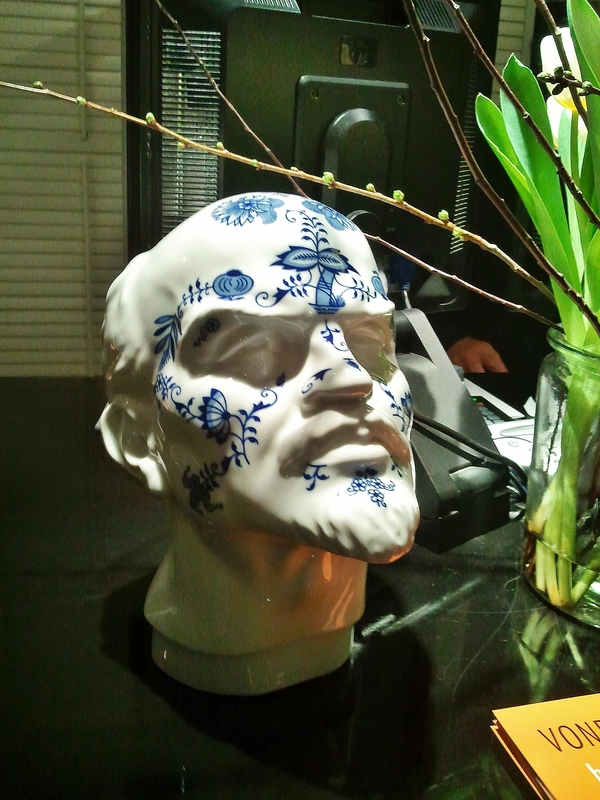 This modern ceramic on a hotel counter neatly integrates the Delft tradition with Soviet-era public statuary, with a nod in the direction of the modern mania for tattooing. Public building continues to be commissioned on a large scale. The recently-reopened Stedelijk Museum has a large and sometime controversial modern extension which nevertheless works very well. The Rijksmuseum has also been extensively refurbished. 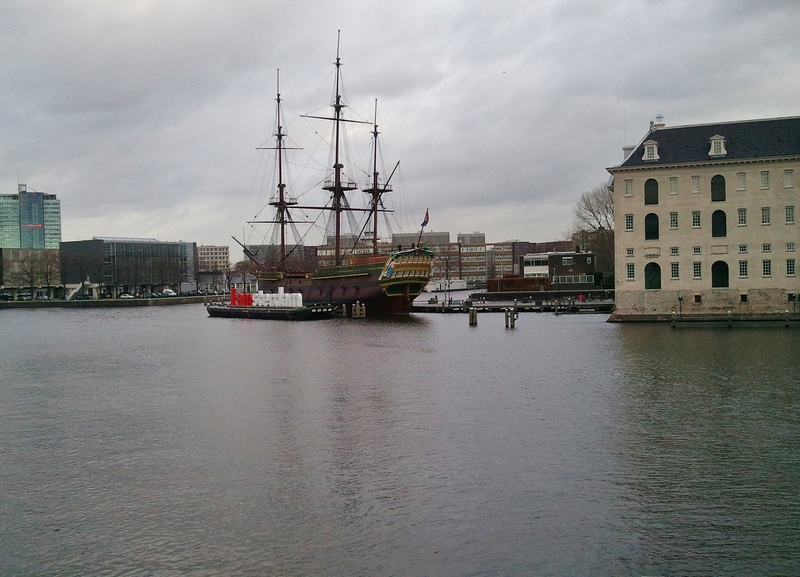 … the eighteenth century ship anchored alongside the Scheepvaartmuseum or naval museum close by. Here’s how the wealth of the Golden Age was generated and brought in, using a revolutionary design for a buis or tube, a merchant ship with substantial capacity and demanding fewer men to crew it. The Dutch gift for design has deep roots. It comes to the fore in the newly refurbished city from which those ships set sail. The Christmas lights snake along the bare branches of winter trees. Street decorations – chandeliers, leaping angels, candles, foliage – are traditional and generally monochrome. The restrained yet striking style of today’s city Centrum might have appealed to the man whose actions started it all, Willem de Zwijger (William the Silent), the ancestor of today’s King Willem Alexander. At Schiphol Airport, a busy, clean and efficient facility, there’s an outpost of the Rijksmuseum with some good oil paintings on show, if you need to while away an hour before your flight. This portrait of him in sober dress by Dirck Barendz and his circle captures a sceptical wisdom missing from better-known portraits. Leading figure in the Dutch Revolt against Habsburg Spain which began the Eighty Years’ War, the story of his ‘Silent’ epithet suggests both restraint and passionate feeling. 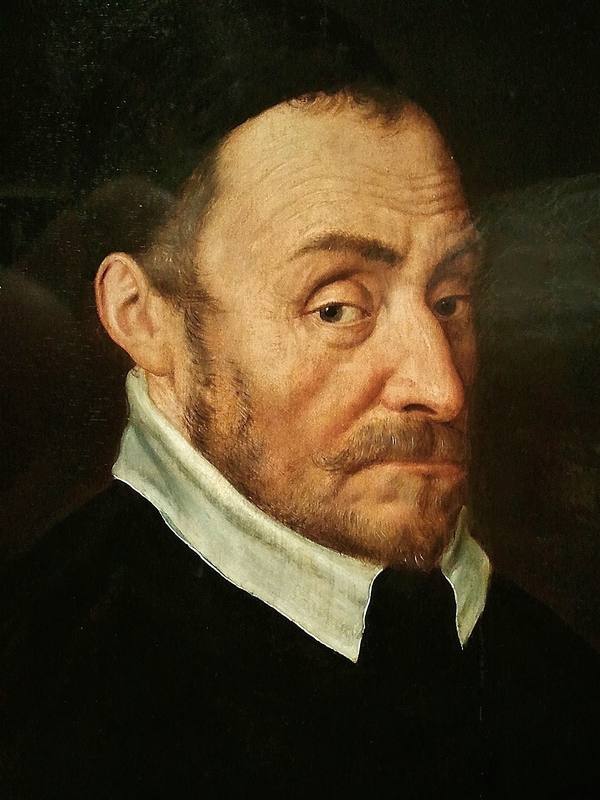 Raised a Lutheran and educated as a Roman Catholic, his resolve to oppose Philip II of Spain’s policies began in June 1559. William and the Duke of Alva had been sent to France as hostages to secure fulfillment of a treaty following the Hispano-French war. During a hunting trip to the Bois de Vincennes with Henry II of France, William and Alva openly discussed a secret understanding between King Philip and King Henry aimed at exterminating Protestants in both France and the Netherlands. William kept silent at that time, but decided that he would not allow the slaughter of so many innocent subjects. The Dutch national anthem still swears loyalty to him today. It seems apt in a country still fiercely determined to be fair.